First discovered in Tanzania in the 1960's, chrome tourmaline is a fairly new addition to the vast tourmaline family. A true collector's gem, chrome tourmaline exhibits bright green color that resembles, and even rivals, that of the finest emeralds. 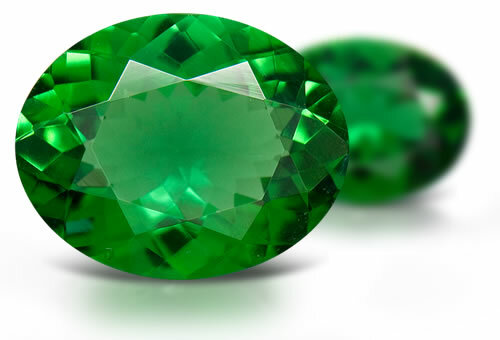 While it is a type of green tourmaline, not all green tourmalines contain chromium and can be called chrome tourmaline. True chrome tourmaline is more highly prized, as it is a more rare occurrence for chromium to be a coloring agent, which often results in a much brighter and richer green color. Chrome tourmaline is a type I clarity stone. Stones might have liquid and gas inclusions that are long and thin, reflective gas-filled fractures and color zoning.